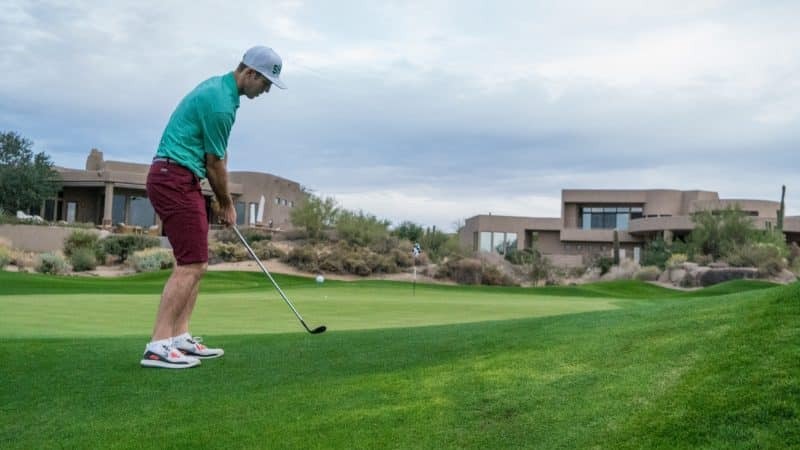 For Randall Smalley, Instagram became the birthplace of golfasreligion. 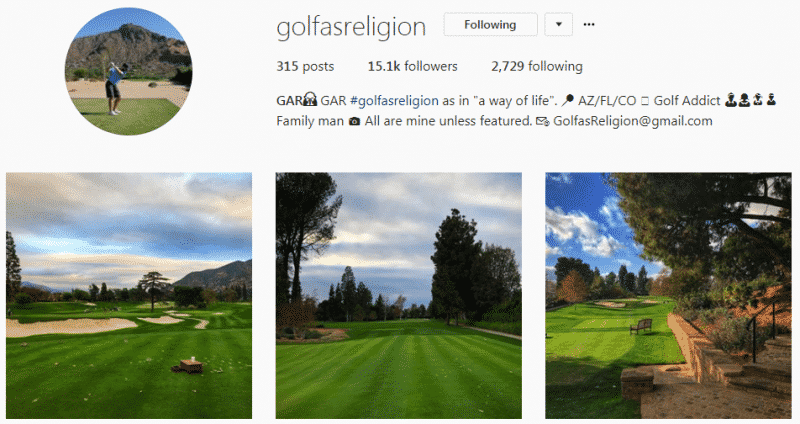 Today’s post is the story of the new Instagram account run by Randall Smalley, aka golfasreligion. Instagram for me goes beyond just a Social Media platform. It’s entertaining, it’s relaxing, it’s a great way to meet people you share an interest in, and it’s even a solid facilitator for education. I know, I know, education is a reach for most of you. A stretch especially if you’re in the majority of ANTI-INSTAGRAM people and ANTI Social Media. I have my reasons for believing it is a more efficient tool than just duck-faced selfies and plates of food. I love interacting via Instagram. Now, I may not have the followers like some of the “Power Accounts” but I enjoy the content so much it doesn’t bother me about my following. Of course, I’d love to have 10,000 followers to activate the benefits Instagram provides to that type of account. But, time will tell if I get there. The interaction is what sets Instagram apart from other Social Media outlets. I’ve made so many friends from Instagram, ones I probably would have never made had I not been on IG, so I’m a tad bias. Friends like James, Andrew, Ryan, Ray, JT, Jake and Alex all have come from some way or another via Instagram. I could go on for hours on Instagram, but for this post, there’s someone else I would like to introduce. There’s a chance you’re already following him though because his account has gone NUTS! I just recently started connecting with Randall Smalley and I’ve been impressed with his commitment to his account. We have a lot in common, as far as golf goes, and I thought it would be a good idea to share his story with everyone. I hope you enjoy this interview, spotlight, behind to the scenes or whatever you’d like to call what you’re about to read. 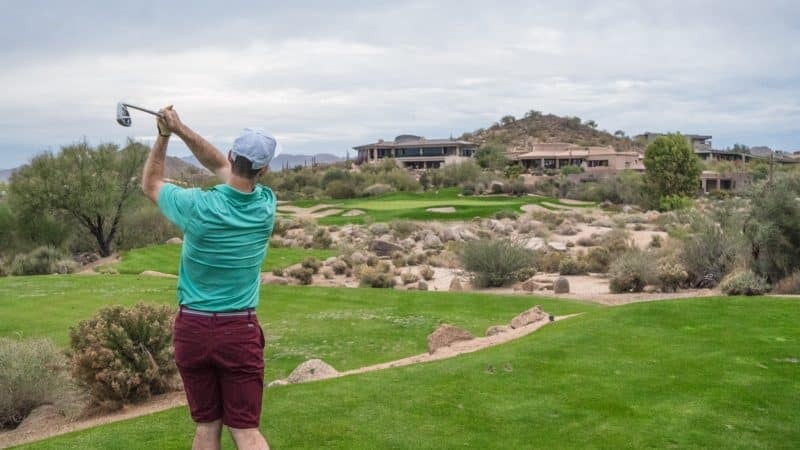 We don’t do too many interviews or articles like this so we hope you enjoy finding out about one of the fastest growing Instagram accounts related to golf. I was born in Miami where I learned to play competitive tennis. Without lessons in golf as a young child, my parents led me to explore the sport and learned on my own. 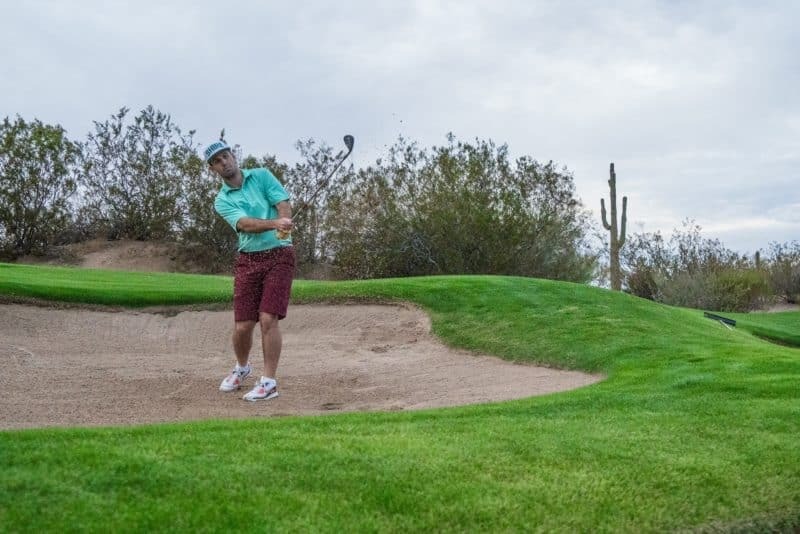 At one point I was close to a scratch because we moved to Arizona when I was in 4th grade and played golf all the time, summers, etc… 100-degree heat. I remember stone creek for a $1 in the summertime. My primary sport though was tennis (also a competitive baseball and basketball) but chose tennis. I went to Lehigh in Pennsylvania for college and played #2 freshman/soph year and then #1 for the remaining years. Scholar athlete, recording many wins, etc. We were a solid team. Left IPREO and then went into sales and trading at Citigroup, Bradesco, and then most recently Santander (Spanish bank). I left research sales June 1st of 2017 and joined the family business Cruise America (auto industry) focusing on marketing, business development, finance in an executive role. That shift had me move back to Arizona and hopefully, one day take over fam biz. My wife Ursula is from Brazil, and we now have two kids, 3.5-year-old daughter and 1-year-old son settled in PHX. golfasreligion came about for real in April 2017. 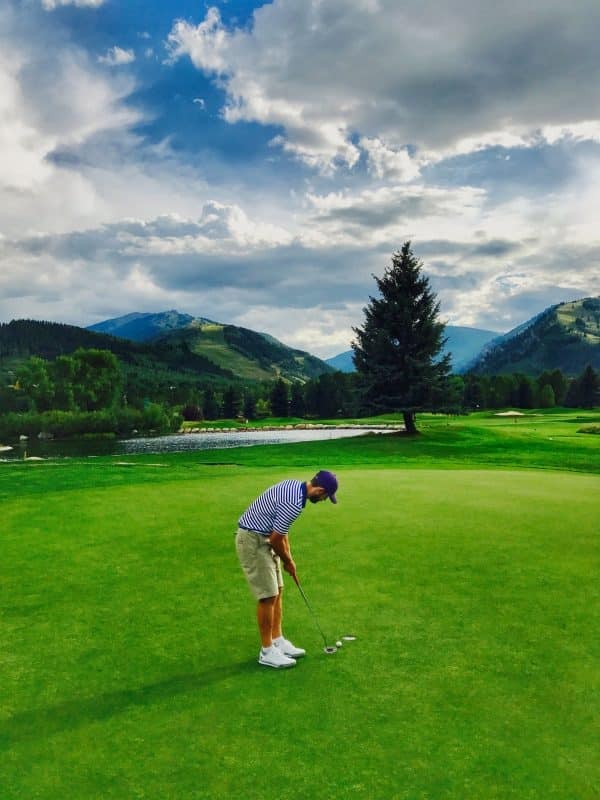 • Golf as a way of life – we are all addicts of the game, and just making it work as a family man gives you golf content/via lifestyle family, health, fitness. Etc. • Originated content – playing all these private and public courses, keeps my followers on their toes, writing the content, etc. • Brand – products to complement this growing following and love for the sport, but all things lifestyle. I have a logo and all and just allowing the account to grow so at the opportune time I can launch. Given all this, I have been able to network to many private tracks, play a lot of courses for free or discounted, and strike fruitful ambassador agreements. At 6.5 handicap, my goal is to get better and better, but always be and fit into that amateur golfer category. It has improved since coming to Arizona. 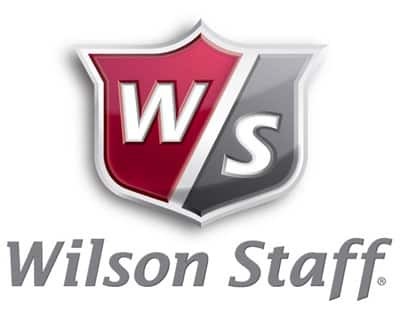 Partnerships include SCNS Sports foods, Powercore360, SelfieGolf, Criquet shirts, Asher, Troon Golf and Bald Head Blues. 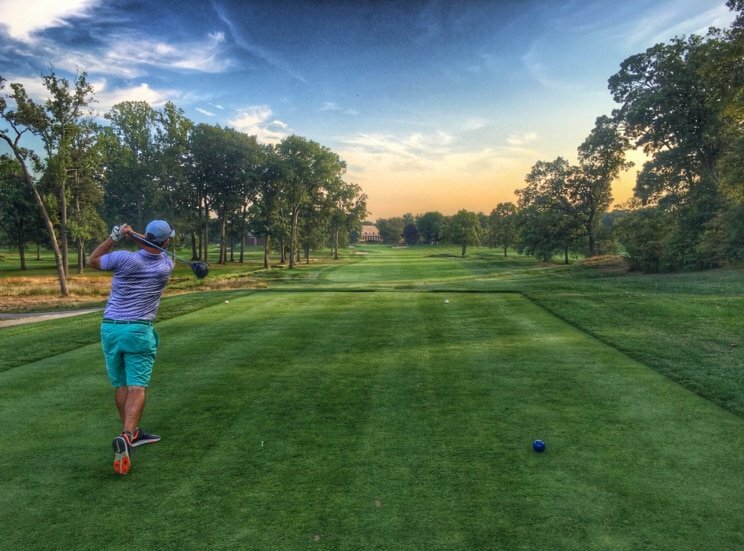 Smalley is taking Instagram by storm with his golfasreligion account. In less than a year Smalley has grown his following to over 15,000. (As I type this out he’s about to hit 16k) It’s impressive, but in today’s social media world it’s not unusual. I say that because anyone can open up an Instagram, account, buy 10,000 followers and start pushing content. It happens every week. What I see a lot of recently is what I call copy and paste accounts. The entire feed is full of reposts from legit people. Then the stupid videos that are on EVERY GOLF FEED ON THE PLANET. I love scrolling through my feed and seeing original content. But, when every other post is a little Chinese boy throwing a tantrum over a missed tap-in, I start to lose faith. What differentiates Smalley from the majority of those types of accounts is his content. 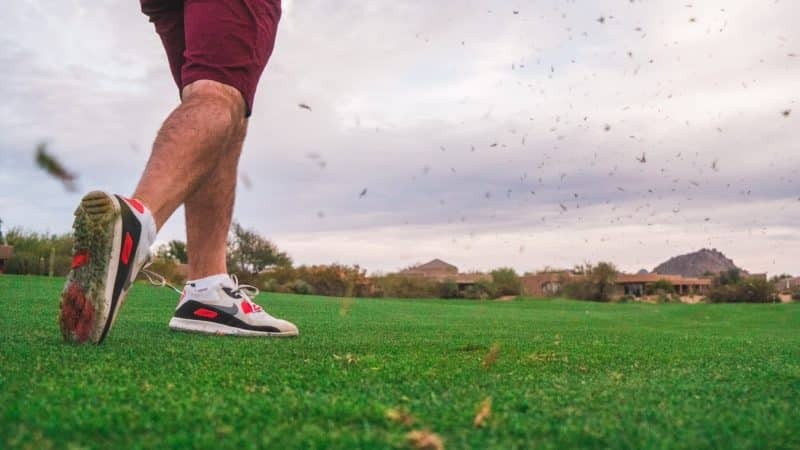 It’s original, it’s interesting and for an Instagram golf account, his photography outstanding. When I first came across his account, I was blown away by the amount of good content. I’m not oblivious to accounts with good content either, just have a look at my Top Golf Instagram Accounts page. You did what in how long? The number that jumps out at me is the timeframe. Smalley has been at this for only seven months. His first post as golfasreligion was back in July of 2016. But, Smalley changed his focus in April of last year, and his account has exploded. I’ve been at this “Instagram” game for a while now, and there are a few rules I like to follow. Don’t repost something everyone else is reposting. It’s tough to maintain a clean feed and not have some people upset with you and why you choose not to follow them back. As much as I want to engage with everyone who follows me it’s just not possible to please everyone and still have a feed I enjoy looking through. Smalley, however, is doing a phenomenal job at gaining fans and followers, And, he has opened my eyes to sharing content on Instagram. I’m sure most of you who are reading this are wondering, how’d he do it? Yeah, so were we. Without giving away all of his secrets, I tossed out some questions for Smalley to see if we could tap into his recipe for Instagram success. TBB: OK, we all want to know, what’s the secret to your success? Smalley: Originated content, excellent golf courses (private and public), captioning, and personalization. It’s hard to do as it requires a lot of time, attention to detail, and editing skills, but it’s what makes the account special. It’s my photos from private and public courses. It makes it much easier to connect when you can deliver your followers your content, but it’s more challenging in some ways as influencers can repost viral content which is easily appealing. I wish that were my day to day because you are just pulling from the internet, but does require some thought on what goes viral, and timing. I started incorporating this to entertain, credit great accounts and drive a continued following. My account has grown a lot in a short period because I focus on it and put in the work. When I am not on Instagram, I am allocating time later because if not, I will lose followers. It’s a full-time job! The secret to growth is having a vision but also pushing to reach that vision. 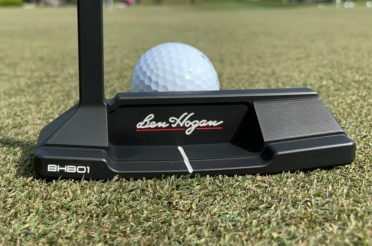 golfasreligion was nothing when I started, but by features, hashtags, following, and engagement, I have built recognition with this brand, and that will lead to bigger things later on. Having a strategy will help you reach your goals, whatever they may be. TBB: At what point did you realize something special was happening with your account? Smalley: Photography and an eye for photos/video were always in my blood. I just didn’t know it and the potential for social media. The point I realized I had something special was September 2017, I posted a great photo of my friends and me rafting down the Colorado River, and it was featured by a professional photographer at Fuji. It must have hit explore because I grew a lot more than I ever had. Not sure my following at that time, but it was probably already near 3-4K, and I got over 1k likes. From there the account took off, and the organic growth followed with the consistent delivery of great content and captions. It was also how many people around me not from the Instagram world were attached to my photos or my account. I had friends advising and others commenting, and that made it very clear there was something to explore. You know something is useful when you have people asking about it or doing the same. In a way, this account came together by chance. Here, I was working on growing my private account not knowing the inner workings of Instagram. I didn’t even understand or know about private vs. public accounts, but what brought me to golfasreligion was that I was posting golf photos on my account and getting little engagement. 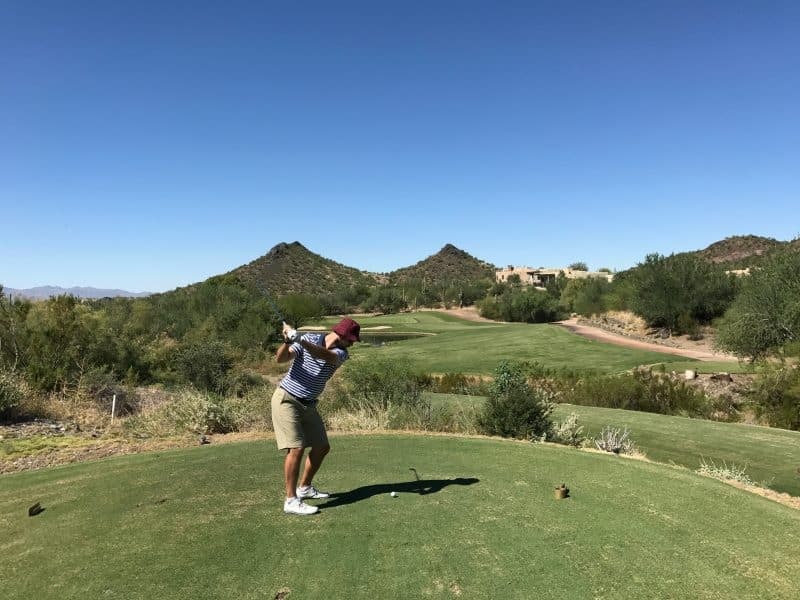 Growing up, I was a competitive tennis player, but born in Florida and AZ since 4th grade before going to college out east at Lehigh, I played a lot of golf. Once I graduated college, golf became my passion. When I realized that I could have an additional account that could be public, golfasreligion was born, and as you see in my bio, it was born with a purpose. Golf as a way of life, the #golfaddict. This mantra brought me to the golf course much more than I ever imagined improving my game, but also bringing me closer to a community of golfers. 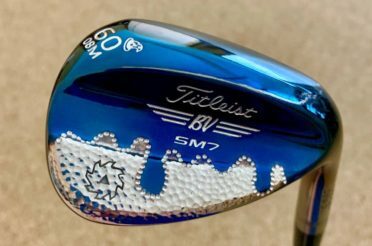 People who are all likeminded individuals that were building a following for something particular: golf photos, videos, and golfing lifestyle. After that moment in September, the engagement plus the content took off and started to make an effort to deliver the best possible course photography to my followers. 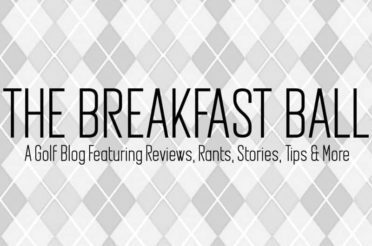 TBB: What do you contribute to your Instagram success? Smalley: My persistence and vision, but also a good friend Ryan Ren. 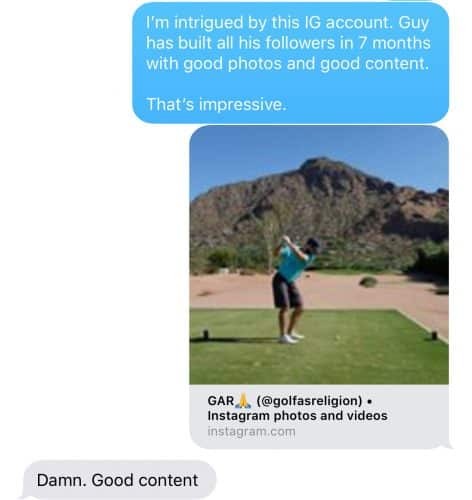 I played a lot of golf through work while living in NYC and Ryan (rren01) had a pretty large Instagram presence, and his account opened me up to the world of public Instagram accounts. I didn’t realize at that time what it entailed, but he showed me the ropes and played together learning from the photography he captured – it was pretty unique. These days direct to consumer businesses can be very profitable but requires hard work ethic and a creative mind. TBB: How often do you get out to play? Smalley: Not as much as some would think and I know Instagram provides that false reality. I would say about once a week, in a good situation 2-3 times, but what I do, is I spend time on the course even if it impacts the experience of the round, to capture the best images/video so I can look back at it and reminisce. 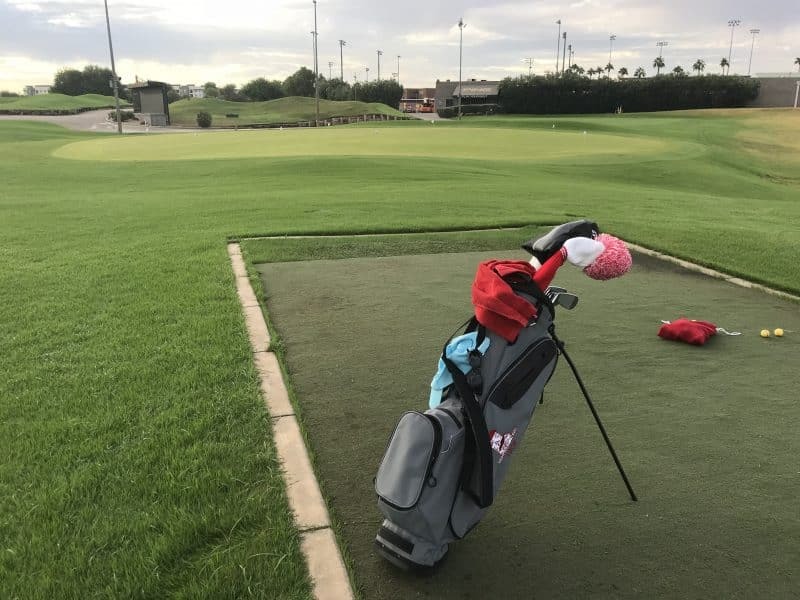 This summer while I made my transition to Phoenix, I played every day and improved my handicap tremendously. I have two kids (3.5 and 1+ and married, so every day would require some series success in my endeavors not to work and just play golf:). The golf world is my reality tho, so that is an end goal! 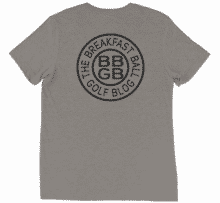 TBB: What’s been your best experience, golf-wise, since GAR has taken off? Smalley: Golf wise has been the experience at each of these clubs and the ability to document it somewhere – social. It has been amazing to relive these memories and tag those clubs and have them feature the photos. It also has been the perks that have come with growing an account and the community you meet. 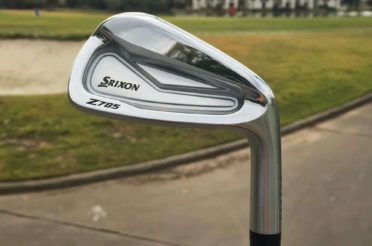 When I started the account, I didn’t have a big vision; it was to post golf content for golf followers. I quickly realized the influencer opportunities, but additionally the golf course relationships that I’m building. 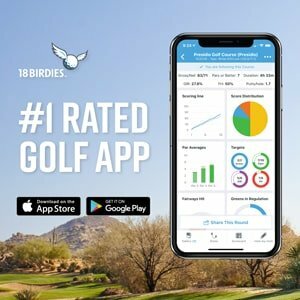 With this account, I have built it directly on course relationships that have covered my rounds and then some. 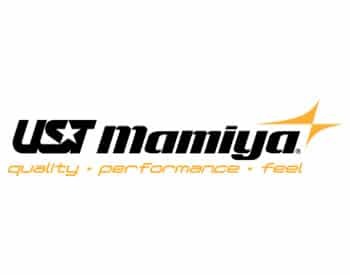 This partnership or discount in some cases makes the experience all the more enjoyable to give back on the photo front, but now with the growth of the account, the brand become established allowing me to start creating a business out of it, and that has been special. The other big takeaway is the people I have met within the Instagram community. Once you enter the golf world, it’s hard to leave, and that is a really good thing. 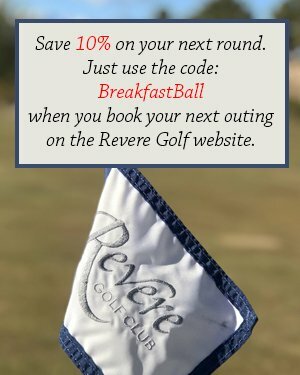 With the drone, point and shoot, and landscapes, I have a pricing package for those courses that want rights to the images and can offer that in addition to the benefit of playing their beautiful courses. TBB: Beyond the brand launch, what other goals do you have in place for GAR? Smalley: My next biggest goal is to build my hashtags #GAR and #golfasreligion. Also, a continuous goal is to provide excellent content to those that are loyal and follow me. It might sound cheesy, but it’s true. I started this account with the intention to build something special, but without my following, there is no one to engage. I like the engagement more than the audience because that’s what allows me to respond and build relationships, but it all grows together. 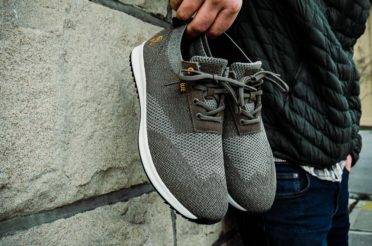 The GAR brand represents something unique and special because it’s polarizing and while the name is a love/hate, I can’t name any of my influencer peers who are not obsessed with golf. More and more, I find we have a similar mindset. I also am honored to see others take cues like I did and do similar things with their content (series, photo battle, etc…). It’s good to see this type of accounts succeeding because there are many strategies for social media. For me, there is a brand behind the photography that will ultimately lead to tremendous things. A final goal would include more video content! 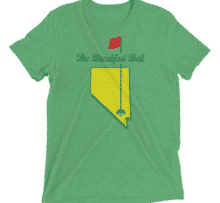 TBB: What’s something you do outside of golf that you enjoy? Smalley: As a family, we are into camping and traveling outdoors. I am also still playing tennis here and there and big skier. My sister lives up in Colorado, so I make a lot of effort to get up to visit her to ski during the winter season. Very active family balancing a full-time job, two kids, wife, and Instagram. TBB: How much time do you spend on your phone scrolling Instagram? Smalley: I spent enough time that my wife has said to me that I am on there too much… BUT so is she. I think you can get caught in stories of a friends, friend, friend that has no relation to you or anything you know, and that can be a waste. But I try to spend my time educating myself on accounts within the golf world. Commenting and supporting like-minded friends, and building out that golf community. But to answer your question, between posts, stories, and messages, Instagram is my primary social media outlet and the one I use a majority of the time; this is why I haven’t focused on growing on the other platforms. Instagram, some people get it, others don’t. The world of Instagram seems to change everytime they come up with an update. They add a new feature here, change something there, and it ignites a new storm of content. When Instagram launched “Stories” they received some blowback because of how similar it was to Snapchat. Now, the IG Stories can be more entertaining than your feed. Next up, Instagram started “Live” broadcasts. Again, there were some concerns from the diehards that Instagram was losing sight of what made them so popular. The live feeds are brilliant though. I love when I’m out on the course, and we go live to share our experiences on the course or at a place like 21 Greens. It brings our followers closer to the action and allows for some great engagement. Smalley told me he’s exploring the idea of doing more live videos. Perhaps a once a week segment featuring products, course reviews or showcasing some new partners. As much as he’s been killing it with his Instagram account, I can’t wait to see what he brings to the table in that format! After you give him a follow, make sure you check out his stories. You’ll find some great content when he’s out a course. He loves showcasing other Instagram accounts and featuring items from his partners. It’s nice to see an exclusive club like Troon North welcome the exposure an account like Smalley’s can bring. You can see from the photos in this article how Smalley has done a fantastic job capturing the beauty of Troon North. It’s been fun getting to know the person behind the screen. Meeting people like Smalley is one the big reasons why I enjoy Instagram so much. The conversations we’ve had of late are a blast. It’s refreshing knowing there are other golf-obsessed individuals out there besides myself. And, that I’m not the only one who’s wife that thinks they spend too much time on the phone! Do yourself a favor, if you’re on Instagram give Mr. Smalley a follow. The content is fresh, engaging and deserving to be featured in your feed. I’d also like to thank Randall Smalley. We appreciate you taking some time out of your hectic schedule and sharing with all of us your story.